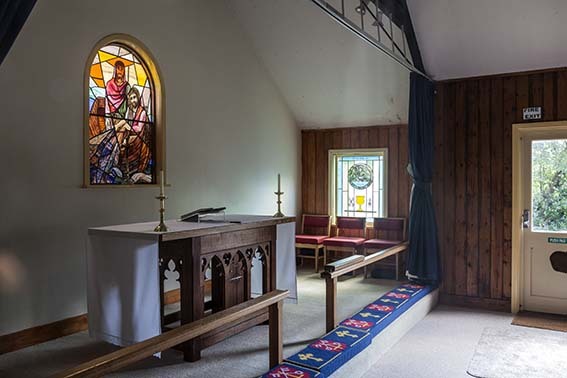 This was built in 1928 as a mission church (VCH 6(1) p85) in the parish of St Symphorian, Durrington, though it was only acquired by the parish in 1951 from the executors of the vicar of Durrington who had built it. It stands below road level and is a late example of a ‘tin tabernacle’, a pre-fabricated iron church, and the only Anglican one to survive in Worthing; indeed, it is one of a diminishing number nationally. Inside, it is a single space with a plain trussed roof with a round-headed east window. 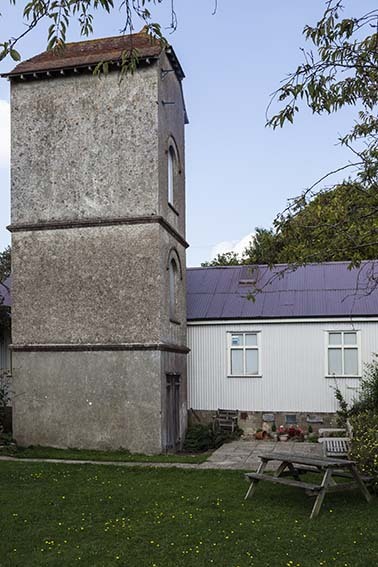 The most conspicuous feature of the exterior, a curious free-standing pebble-dashed tower at the south west corner, was not in fact built as part of the church, but was already in existence as a water-tower. It has round-headed openings and a tiled top that is half-hipped. 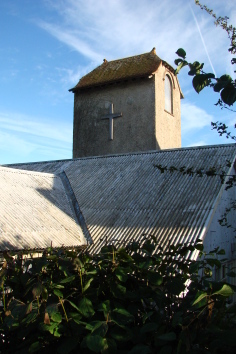 The cross on the side indicates that it is now seen as part of the church. The parish is now united with that of Findon Valley. 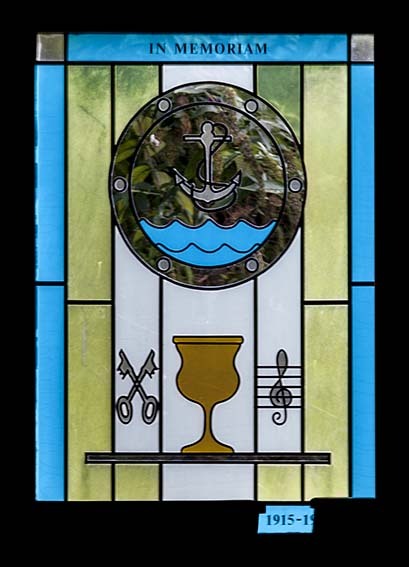 Glass: (East window) M G Lasson, 1994-95 (personal communication from Nick Wiseman, based on records held by the church). It is probably no co-incidence that the only other glass by Lassen in Sussex is at Durrington, in the parish of which this church then was.